Bro, you going to SHOT? Last year at SHOT……Wait until you go to SHOT…I wonder if “it’s” going to be at SHOT? SHOT Show this and Shot Show that… What is this SHOT everyone is speaking of. Officially it’s the Shooting Hunting Outdoors Trade Show and it is the largest most comprehensive show that the shooting industry has to offer. Even by Las Vegas standards it’s a wild time. 2013 was my first year at SHOT and it didn’t take long to figure out what all the hype was about. 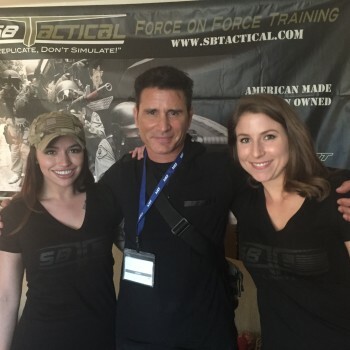 John Meyers of Team One Network contacted me and asked if SBTactical was interested in partnering for his law enforcement low light course. This course was offered as a part of the SHOT Show Education Program. That’s another blog for another time. 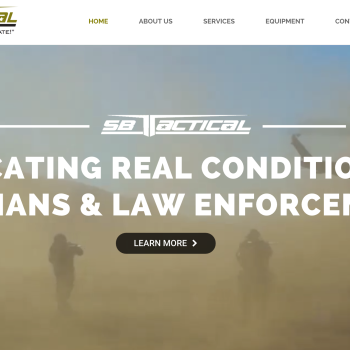 SBTactical were new to the scene so I jumped at the opportunity. The concept was that John would equip our iCOMBAT irPistol and irM4 with StreamLight weapons lights and utilize them during the practical exercise portion of the course. The ability to fire replicated weapons with immediate feedback was a perfect fit. The courses were taught in Venetian Hotel conference rooms and since iCOMBAT training systems don’t shoot any projectile we did not have to prep the room or require students to wear any type of safety equipment. We conducted classes three days and between classes I was able to explore the craziness they call SHOT. I have been fortunate to attend every year since. Quite frankly it can be overwhelming. The Sands Convention Center is flooded with people from all walks of life. Media coverage and mini Hollywood productions are a norm. Celebrity appearances and shocking product reveals are constantly happening. 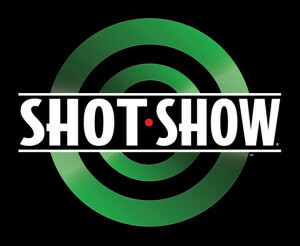 If you are the type that plans everything, I suggest downloading the SHOT Show app. It is free and allows you to plan your strategy in tackling the beast. Comfortable walking shoes and plenty of water are a must. It is estimated that you if you cover the entire vendor portion of the convention you can walk up to ten miles a day. The experience extends well beyond the Sands Convention Center. 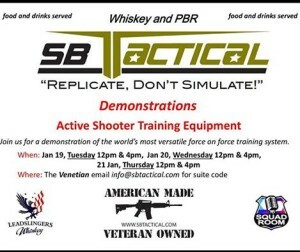 Companies like Glock, 5.11 Tactical and RangerUp all host parties after show hours. I’m not going to give too much detail on these since finding them is half the fun. If you’re into that sort of thing. You never know what you’ll find at SHOT. One year Kyle Lamb of Viking Tactics did an impromptu presentation at an after party and got everyone pretty pumped. We look forward to another great year. We constantly meet new people that and get to catch up with old friends. This year we will conduct Active Shooter training equipment demos twice a day in our private suite. Food, PBR and LeadSlinger Whiskey will be served at all of our demos. Stay tuned to our Facebook and Instagram for more details.